NEW PRODUCT! JUST RELEASED- Winter 2018! 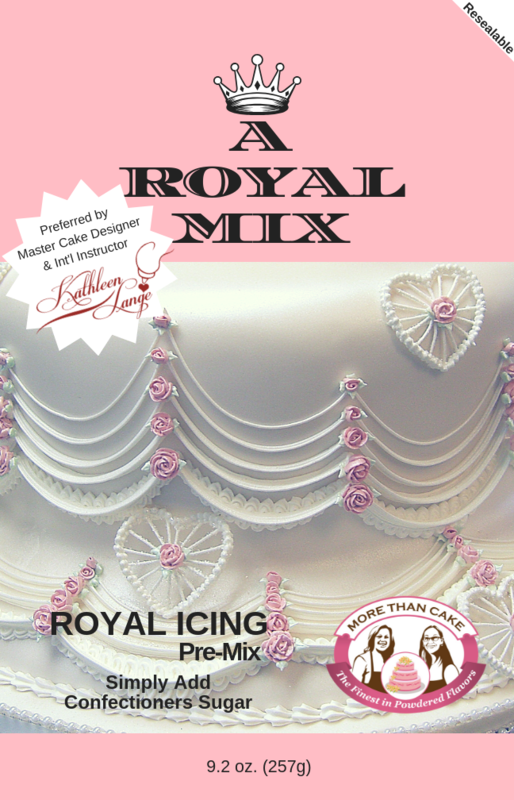 This is a pre-mix to be measured; add to 10x confectioners sugar with warm water; create a recipe size of 2 cups or entire 257g package contains 16 recipes, approximately 8 pounds of Royal Icing, for less than 50% of the cost of ready made 1 pound packages. For more information on becoming a distributor or for wholesale accounts contact More Than Cake directly. Kosher, Gluten Free, No Citric Acid or Titanium Dioxide and All ingredients used to create “A Royal Mix” are approved for use by the FDA. Int’l Master Sugar Artist, Kathleen Lange, who collaborated in testing our product. 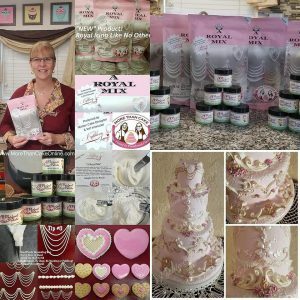 When combined with your favorite high quality confectioners’ sugar and warm water, per recipe you will achieve the finest quality royal every time! Adjust consistency with extra water or sugar; depending on decorating need and climate. Our 257g package contains 16 recipes, approximately 8 pounds of Royal Icing, for less than 50% of the cost of ready made 1 pound packages. Creates smaller batches, minimizes waste, controls the users cost, plus, tested very well in various climates. It was created to give the confectionery artist more creative decorating control and savings over the current per-packaged 1 lb mixes. 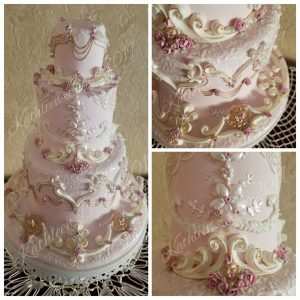 This product was tested and is used by some of the finest sugar artist in the industry. 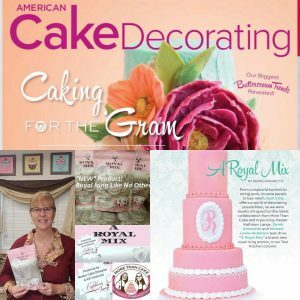 Surprise your clients with amazing varieties of flavored Royal Icing; each recipe of a Royal Mix, blend as little as 1/16th – 1/8th of a teaspoon of More Than Cakes, Perfect Palate Powdered Flavors. By adding the appropriate amount of warm water, the icing thins very nicely for flooding your designer cookies. Your customers can choose their flavor, this takes your cookies and royal to a new level! Safely 1 week. Remember this is an egg product. You may refrigerate or freeze icing in airtight sealed container. Defrost to room temp and re-beat with mixer. May add a little extra sugar or A Royal Mix- Pre-Mix to bring back to original consistency. May not be as good as freshly made icing. Another great tip is to mix all left over royal icing together to make a delicious chocolate frosting to frost your cakes. If you have approximately 2-4 cups of icing , add 1/2 cup to 1 cup room temp sweet, unsalted butter or icing shortening, mix; add 6-9 Tablespoons Unsweetened Cocoa Powder or more depending on chocolate flavor desired, add extra liquid if needed and mix to desired buttercream consistency. You may use to frost a cake or cupcakes. No ingredients will be wasted.